Paper copy submitted the the College Archives with formatted and signed original cover sheet.  Signed permission form (see MS Word link below) if allowing online access to thesis as a part of the College Archives submitted (either in paper or e-mailed to archives@guilford.edu). If portable storage device submitted with thesis, paper digital components page describing any electronic components (images, recordings, or programs submitted on portable data storage devise (CD or USB flash drive) must be included with paper copy. ​*Note: Your specific departmental advisor or the Honor's Program may have additional requirements separate from those required by the College Archives. Release form to be submitted via e-mali to archives@guilford.edu as PDF attachment. Cover page should follow the model illustrated in Appendix A. It is essential that the author's name and department be present. The author's name should appear as it does on the college diploma. The thesis must be an official copy with the original signatures of faculty thesis advisors appearing on the cover page. The official copy should be clean (should not be marked with comments and corrections). Theses should be submitted unbound and without holes punched. A 1.5 inch left margin is required to allow for library binding. Three-dimensional objects and original artwork are not included in the thesis collection. Those with such a component are asked to submit photographs of the object. Printed paper copy is still required at this time. A PDF version including all pages of the printed copy, including front cover page and any supplemental page describing digital elements is also requested to provided online access to researchers. See below for guidelines for any supplemental digital components. Digital components such as audio visual elements, presentations, programs, and analysis are accepted as appendices to the main text document on a portable storage device (CD or USB drive). A separate page should be included with your text document which describes digital components and includes specifications for any application programs required to open files. Individuals should be aware that some digital formats are non-permanent and may become obsolete over time. The digital components page must be included with printed and PDF official copies of the thesis to identify and describe elements that may be lost otherwise. See Appendix B for digital components page format and required elements. 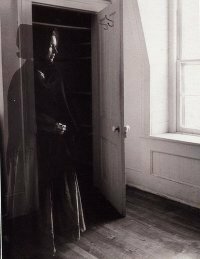 A final signed copy of the thesis must be turned in to the Quaker Archives in Hege Library by the faculty thesis advisor or by the student who has completed the thesis before the deadline to submit grades for graduating seniors. PDF version and release form to be submitted to archives@guilford.edu by the same deadline. Earlier deadlines may apply, such as the Honors Program requirement that theses be turned in by 5 p.m. on Reading Day. See Appendix C for release form. It is recommended, but not required, that theses be printed on acid-free paper [archival grade permanent paper]; ISO 9706 or ISO 11108]. Double-sided printing is encouraged but individuals are reminded take care that margins meet the 1.5 inch requirement and remain sufficient for binding. Individual programs or departments may require additional copies of the thesis for their files. The additional copies requested by an academic department are not necessarily restricted to the above guidelines. The theses are cataloged in the library's system so that researchers may discover them. Theses are kept in the college archives closed stack section of the Quaker Archives and made available to researchers for library use only upon request. Researchers are asked to respect copyright policy. Theses may not be extensively photocopied without prior written permission of the author unless reproduced for institutional accreditation purposes. Proper citation guidelines should be used when quoting or paraphrasing from a thesis. Access may be provided online via a PDF document as an access surrogate to the printed thesis under these same reproduction restrictions. Originally approved February 3, 2003; updated and revised January 12, 2009 and April 27, 2015. Before submitting the thesis to the Friends Historical Collection, check to be certain the content has properly transferred to the digital medium being submitted. This form must be included with your thesis (both the paper copy and the PDF document). This is a non-exclusive grant of permissions for online and off-line use for an indefinite term. Off-line uses shall be consistent either, for educational uses, with the terms of U.S. copyright legislation's "fair use" provisions or, by Guilford College, with the maintenance and preservation of an archival copy. 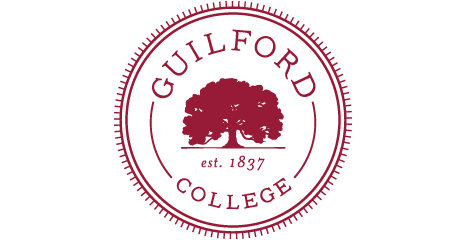 Digitization allows Guilford College to generate image-based and text-based versions as appropriate to maintain file access over time and to provide and enhance access using search software.